Black Seeded Simpson, red romaine, etc. Another snowy icy day. And more snow coming tomorrow.. anyone else getting tired of winter?? Therefore, for today's post, I thought I'd venture deep into my photo achieves and dig out a few spring-like shots of the garden. Lo and behold, I found these beauties.. some of the edible edges I have used to border my veggie garden beds. 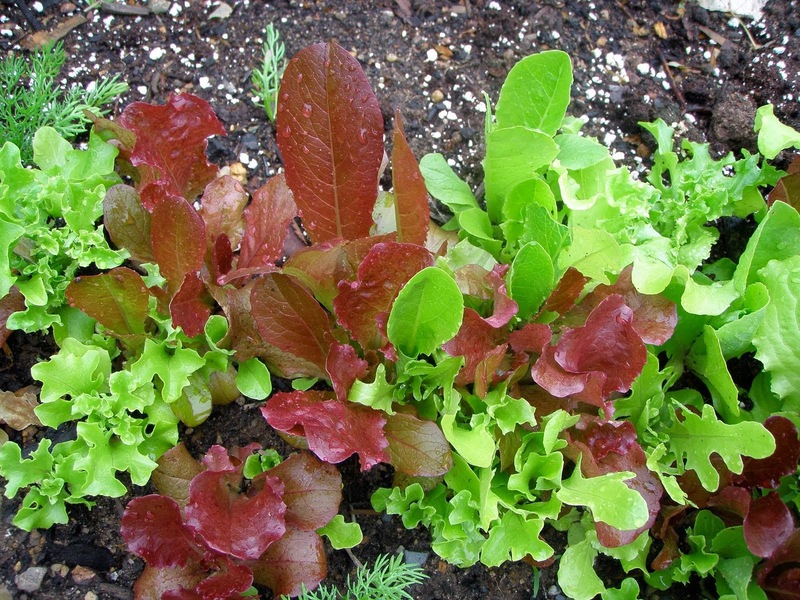 These are all lettuce based edges and can be planted quite early in spring, refreshed in early summer and replanted in late summer for a fall crop. Boosts production - no wasted space! 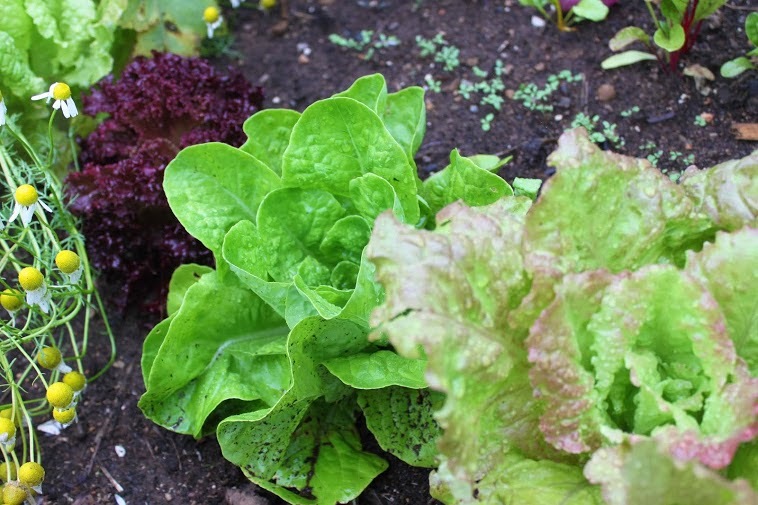 Depending what you choose to grow, your edge could act as a trap crop, preventing pests like aphids from munching on your veggies. Looks fabulous!! Need I say more? the whole bed - eye catching! 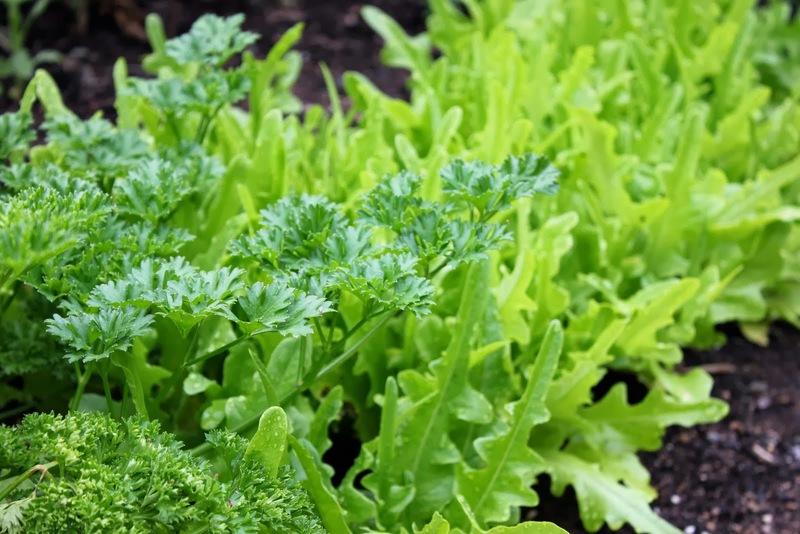 A tasty mixture of oak leaf lettuce with curly parsley. Yes, I've had enough of Winter. Roll on Spring! I was actually thinking of sowing some lettuce seeds this weekend, so this has confirmed the decision. We saw beets used in the flower beds at the Krohn Conservatory in Cincinnati.